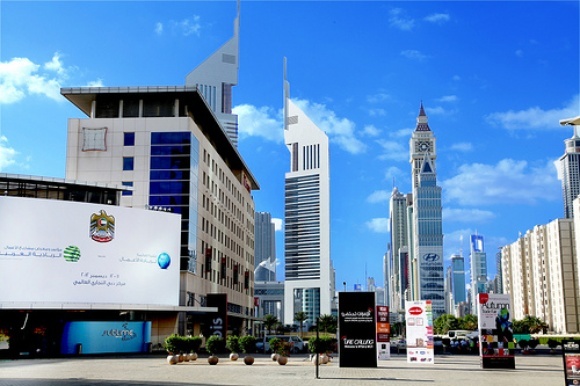 At WCIT-12 in Dubai in December, the 193 member states of the International Telecommunications Union (ITU) met to review a treaty that has formed the global framework for telecommunications regulation for almost 25 years. A flashpoint in the battle over the future of Internet governance, events at the conference have been the subject of intensely varying interpretation. Responding to an account published by a member of the United States delegation, former tech executive and ITU official Richard Hill offers an alternative perspective. The following Global Minds contribution responds directly to Eli Dourado’s WCIT-12 analysis ‘Behind Closed Doors at the UN’s Attempted “Takeover of the Internet” published by Ars Technica. Eli Dourado’s article begins with an incorrect statement. According to him, “the purpose of the meeting [WCIT], claimed ITU Secretary-General Hamadoun Touré, was simply to update the treaty that governs international phone calls.” In fact, the 1988 International Telecommunications Regulations (ITRs) do not govern international phone calls. As anybody can tell by simply reading the Purpose and Scope of the ITRs, they “establish general principles which relate to the provision and operation of international telecommunication services offered to the public as well as to the underlying international telecommunication transport means used to provide such services.” In particular, the ITRs establish principles for data networks as well as voice networks: they replaced the previous Telephone Regulations and Telegraph Regulation. The ITRs do not “govern” anything. Instead, they merely establish general principle. Dourado goes on to state “the ITU, it was said, had no agenda of its own.” It is not clear what is meant by this statement. The ITU is its membership. If the membership agrees something, then the ITU has a clear agenda. If the membership does not agree, then the ITU cannot have a clear agenda. The agenda for WCIT-12 was agreed by the membership, and it was clear – to revise the 1988 ITRs. There were differences of opinion amongst the membership regarding how best to revise the ITRs, and the purpose of WCIT-12 was to discuss those differences with a view to finding a consensus. That was the agenda. Dourado states: “the proposals for the updated treaty stayed secret, however, the public had no way to judge the claims of the ITU and its critics.” As the ITU Secretariat has repeatedly stated, all proposals are made available to all of the ITU’s members, and the members are encouraged to share them within their constituencies. As a United States (US) citizen, the author could have had access to all of the proposals, simply by asking the US government. The proposals were by no means secret. Dourado states: “within hours, we had our first leak – a draft of the new treaty containing several options for revisions to each provision, including some that addressed Internet issues.” In fact, the document in question was a compilation of proposals, not a draft of the new treaty. Some of the proposals did indeed address Internet issues that are within the mandate of the ITU, in particular the issue of costs for international Internet connectivity, which have long been studied in ITU-T Study Group 3. There was no reason for Dourado to wait for a leak. He could have obtained the document in question from the US government, simply by asking for it. Dourado fails to note that the document approved for public distribution by the ITU Council was the main output of the WCIT-12 preparatory process and contained all proposals that were considered for further study. The council was of the view that this document sufficiently well summarized the preparatory process, so it was not necessary for the ITU Secretariat to publish any other documents. All other documents, however, could be obtained from any ITU member, including of course national governments. Indeed, other organizations obtained the full set of WCIT-12 documents and published them, unlike the author’s site WCITLeaks, which continued to publish only selected documents. Dourado states: ”as a result of criticism over transparency, Plenary and COM5 meetings were webcast and open to those who only had observer status.” This statement is inaccurate in two respects. Firstly, meetings of plenaries and decision-making committees of ITU conferences are usually open to the public and webcast: WCIT-12 merely followed established precedents. Secondly, all WCIT-12 committees, working groups and sub-working groups (ad hoc groups) were open to all members, including those having observer status. Dourado states: “finally, around noon on Saturday, WCITLeaks received and posted a version of the multi-regional proposals.” The document posted on WCITLeaks was not a document submitted to the ITU Secretariat – WCITLeaks posted a non-authentic document. Dourado states: “despite the ITU’s claims that WCIT was not going to be about the Internet, there we were, halfway through the conference, and the Internet was still on the table.” Indeed, proposals regarding the Internet were still on the table, because they had been submitted by the ITU membership. The author appears to conflate the ITU Secretariat with the ITU itself. As noted above, the ITU is its membership. While the Secretary-General was of the view that Internet issues should not be discussed at WCIT-12, not all members agreed, so indeed some issues related to the Internet were on the table. As part of a compromise proposal, those issues were dealt with in a non-binding resolution, rather than in treaty text. Dourado states, regarding the compromise text proposed by the Chairman of WCIT: “its term for the covered operators – those companies who would be subject to the regulations – failed to clearly limit the scope of the treaty to traditional telecom companies, thus allowing the interpretation that Internet companies from Google to Tumblr were covered.” Indeed, in accordance with no. 38 of the ITU Constitution, which takes priority over the ITRs, the ITRs must apply to companies other than “traditional telecom companies.” The language proposed by the Chairman was an inevitable consequence of what had been agreed in the 1998 Plenipotentiary Conference – a fact accepted by almost all the delegations present in Dubai. Dourado states that the draft compromise “included provisions on Internet naming and numbering... and text that could have enabled sender-pays and other pricing mechanisms that would fundamentally alter the Internet.” These statements are incorrect. The compromise language specifically excluded such proposals. Dourado states: “every time the US objected to a provision in Plenary, the Chairman would chide us, saying that the text had been agreed to already in the closed-door meeting.” This is not correct, as anybody can tell by listening to the archived webcasts of the plenary discussions. Dourado states: “at one point, US lead negotiator Richard Beaird pleaded that only one additional word – ‘correspondence’—was necessary to make the definition of a key term acceptable. This appeal was rejected (the term ‘public correspondence’ would have limited the applicability of the treaty roughly to the traditional common carriers, while ‘public’ alone could have implicated any company providing telecommunication services to anybody).” This statement contains many inaccuracies. The US proposal was to use the term “public correspondence” which is defined in the ITU Constitution as “any telecommunication which the offices and stations must, by reason of their being at the disposal of the public, accept for transmission” (emphasis added). Since, at present, there are essentially no offices or stations which must be at the disposal of the public, adoption of the US proposal would have resulted in a treaty that applied to essentially nobody, as this would have been inconsistent with the ITU Constitution. Since the Constitution prevails over the ITRs, the treaty would anyway have been applicable to the “authorized operating agencies” mentioned in the Chairman’s compromise text. Further, the ITRs apply only to entities that operate a telecommunication installation intended for an international telecommunication service (emphasis added). Entities that do not operate installations intended for international services are not covered by the ITRs. According to Dourado, “the US had privately expressed concerns to the Secretary-General that the Internet resolution made the treaty unacceptable.” This statement is hard to understand, given that the non-binding resolution in question is not part of the treaty itself. According to Dourado, the decision to approve the resolution in question was not made by consensus. The author apparently misunderstands ITU (and United Nations) practice regarding consensus. Consensus does not mean unanimity – it means that no formal objection is made to a decision. If a chairman announces that something is approved, and if no delegation objects formally to that announcement, then the issue is considered as having been approved by consensus. Dourado states: “after last night’s performance, the ITU could never again deny that it had designs on the Internet, it could never again imply that those who were concerned about the possibility of a takeover of some aspects of Internet governance by nation-states were misinformed conspiracy theorists.” As noted above, the ITU is its membership. While some ITU members have indeed advocated a greater role for the ITU in certain aspects of Internet governance, there is no agreement on the matter. It cannot be said that the ITU, as an institution, has “designs on the Internet.” Indeed, many nation states control many aspects of the Internet (most notably the US), so this topic is hardly one for conspiracy theorists. Various countries have made very public proposals to bring certain aspects of Internet governance under the control of some to-be-created inter-governmental mechanisms. Again, this topic is hardly one for conspiracy theorists. No such proposals were presented to WCIT, however, so indeed it takes a conspiracy theorist to imagine that WCIT-12 could result in increased inter-governmental control of the Internet. Dourado states: “while we were able to make some WCIT documents public, the group’s formal processes remain arcane and fundamentally closed.” As noted, other actors made all the WCIT documents public, after having obtained them from an ITU member. The ITU’s formal rules of procedure are indeed complex, but WCIT-12 was fundamentally open. All decision-making sessions were open to the public and webcast, and the national delegations included many representatives of the private sector and civil society. No other treaty-making conference has ever been as open as WCIT-12. Finally, Dourado states: “and the months of false assurances that the Internet would not be up for discussion at the WCIT represent the opposite of transparency; they look in retrospect like simple obfuscation.” As already outlined, the ITU Secretary-General was of the view that it would have been better not to have raised Internet issues at WCIT-12. The membership, however, felt otherwise. It is possible that the membership felt otherwise because of the orchestrated press campaign prior to the conference that suggested WCIT-12 was going to result in a United Nations takeover of the Internet. Without such a misleading campaign, perhaps the Internet-related proposals would not have been presented to WCIT-12 at all.